Maxi dresses online for every occasion! 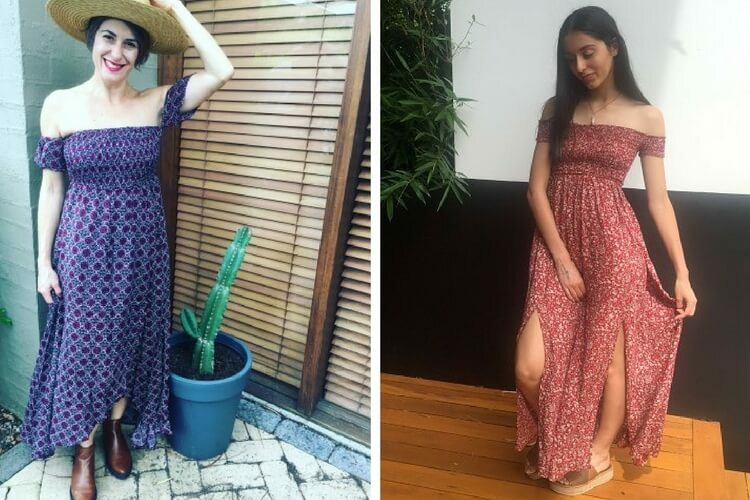 Looking for some new options to buy maxi dresses online? Take a look at Modella’s great range of affordable maxi dresses online. Maxi dresses are always in fashion; they are a great addition to any wardrobe – perfect for any occasion, day or night. If it’s boho-styling that you are into, the Lost Muse Clothing label has it covered! Flowy bohemian-inspired prints are a perfect weekend go-to choice. They are so easy to wear and look fabulous with platforms, metallic sandals or ankle boots in the cooler weather. As seen below, our best-selling Lost Muse navy maxi was a handy little option while sailing in the Greek Islands! Need a little boho-chic inspiration? Take a look at this Insta account from Perth beauty, Helen Janneson Bense – full of beautiful pics, gorgeous styling and chilled boho vibes. Brisbane designer, Phylia Panagopoulos, is the creative force behind the Tanee Clothing fashion label. Denim, bold prints and gingham feature in her latest range of innovative maxi styling. With her trademark detailing including bows, edging and pretty frills, just add minimal accessories and you are good to go. Toby Heart Ginger has great styles to choose from – for day time, check out the Ignite Neon Orange Maxi for a fun beach look; while the Vintage Blossom Floral is perfect for that hot summer weekend. Look at this stunning Braid Dream Maxi – the perfect party dress with a gorgeous back braid feature detail. Try layering this maxi with a white singlet or t-shirt for an alternative look. If you are looking for something a little more formal, check out the stunning satin maxi dress in a luxurious soft sheen fabric which comes in two colours – mushroom and khaki. 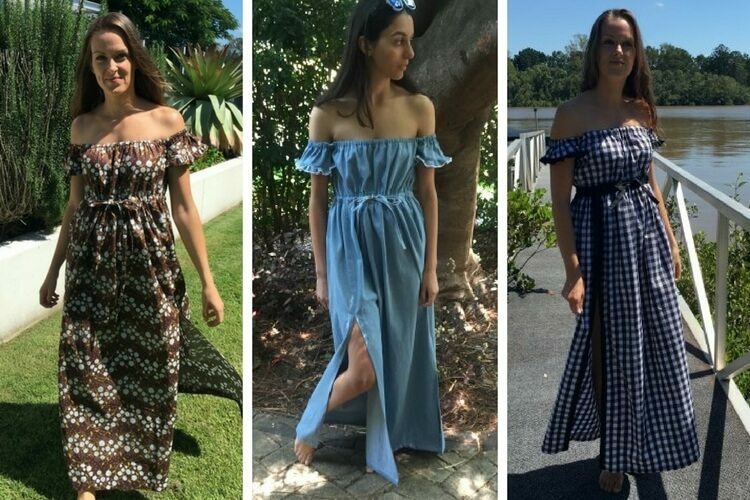 So next time you are looking to buy maxi dresses online from an Australian online boutique, add Modella Clothing to your list of options. Modella is a family run business, easily contactable by phone or email; we love providing personal service, great prices and a hand-picked women’s clothing range from local and overseas designers. Happy shopping!